Slide to the Edge is a Minimalistic Elegant Wallpaper for your desktop, iPad, iPhone and Android Tablet. 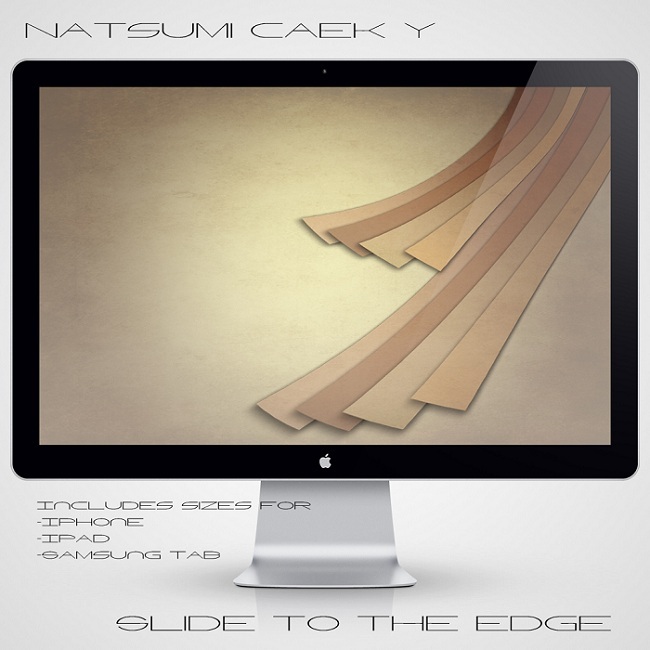 Slide to the Edge Minimalistic Elegant Wallpaper is created by Natsumi-Caek-Y. It is a rar download, the file is 3.9 MB in size. This Article Has Been Shared 3714 Times! Purple Petal Flowers is a charming photo wallpaper for Windows PC and Apple Mac. The photographer has taken the photo from Manito Park. Asleep Tiger Wallpaper for Windows PC and apple Mac is an excellent quality photo wallpaper of Royal Bengal Tiger sleeping on its side and looking at the camera. Nature Wallpaper Pack is a set of excellent quality nature based minimalistic photo wallpaper for your desktop. Inspiring Wallpaper Set is an excellent quality photo wallpaper set containing six different soft wallpapers for your nice desktop. Water Flow is an excellent quality high resolution minimalistic 3D Wallpaper set for your desktop. Cite this article as: Abhishek Ghosh, "Slide to the Edge : Minimalistic Elegant Wallpaper," in The Customize Windows, December 30, 2011, April 25, 2019, https://thecustomizewindows.com/2011/12/slide-to-the-edge-minimalistic-elegant-wallpaper/.